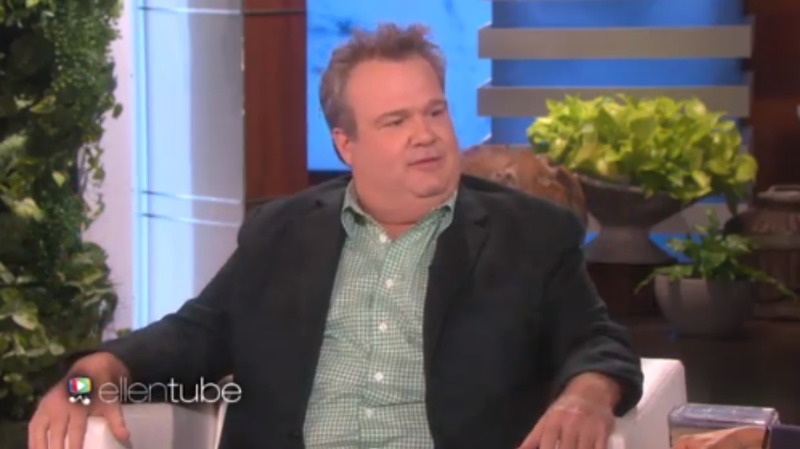 Eric Stonestreet must have a picture of himself with a tiger somewhere, because the actor just revealed to Ellen DeGeneres that he’s looking for love on Tinder. During an appearance to promote his new movie Confirmation, the two turn to talk of Stonestreet’s love life. He’s broken up with Bethenny Frankel and on the dating market, which means hitting the apps just like everyone else, says Stonestreet. “Now I’ve done Bumble and I’ve tried this other one and the way I justify it, Ellen, is I shouldn’t be because I’m on TV, I shouldn’t be eliminated from participating in what’s going on in the world,” he says. He doesn’t share exactly how many people he’s matched with, saying only, “I’ve had all varying degrees of fun.” Hopefully we’ll hear a little bit more about that fun soon.